Few Manitobans will soon forget the excitement of the 2010 Winter Olympics. From the time the Olympic Flame entered our province until the closing ceremonies, Manitobans embraced the event with pride. 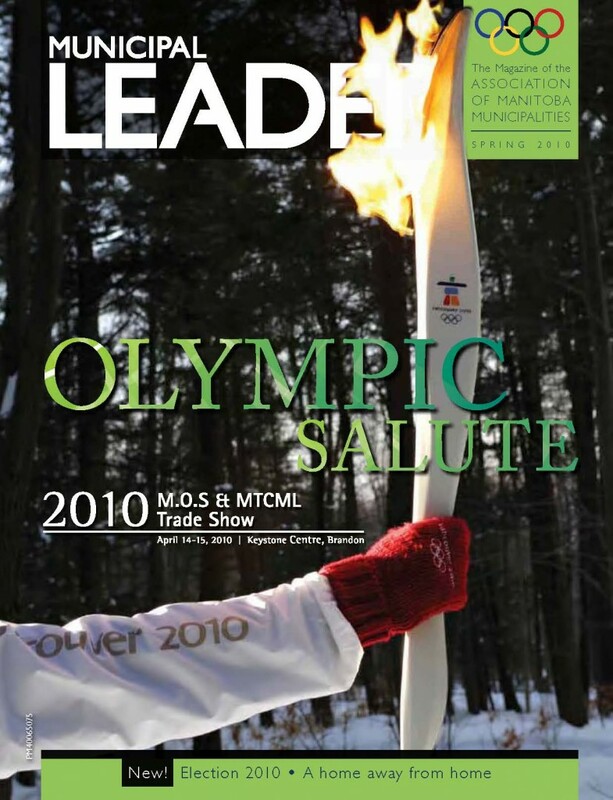 This issue’s Olympic Salute tracks the path the flame took throughout Manitoba, profiles the superb athletes who made up Team Manitoba, and examines how sport helps communities. Most importantly, our salute illustrates just how important our community recreation facilities are on the “road to excellence”. Of course, this issue also includes a complete preview of the Municipal Officials Seminar and MTCML Tradeshow, and much more!